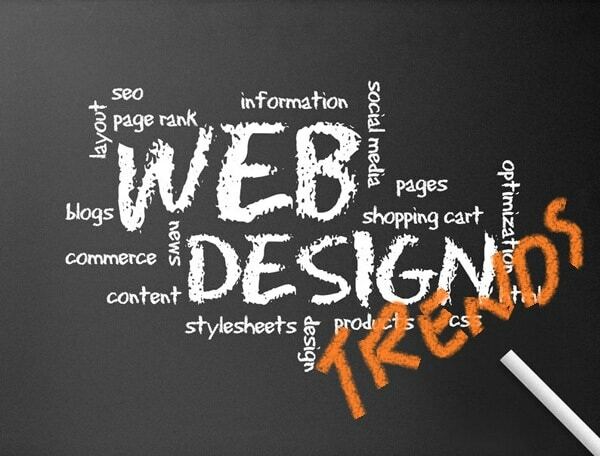 There are many new web design trends evolving. These trends play a vital role in the growth and development of craft. So, while applying trends to the projects as a web designer, you should own them by expanding them. There is a subtle change in the trends between one year and the next year. According to our estimation, in 2012, these concepts will grow and become bigger. Eventually, the talk about responsive web design will come to a stop since it will evolve as an expected thing. Since many web designers are not familiar with this concept, this might not happen in the year 2012. The year 2012 will be the year of responsive website due to continued adoption and introduction of huge number of mobile devices. Web developers and designers will start replacing fixed width with fluid layouts and queries from media will help in the improvement of style sheets. This can help in viewing across multiple devices and screen sizes. All of us have used this technique mostly on individual blogs or personal websites at some point. Even though this trend had a drop between 2010 and 2011, for the past few months, there is resurgence. Only few small links need to be provided if the website lacks main navigation. So keeping these links visible to all the users can improve the performance of the website dramatically and can easily merge with the page layout. The basic concept is to keep both internal links and navbar locked in one place as the users start scrolling the content. In order to make the navigation system easy to work, the panel of the web content should be set in a slideshow style. This provides easy display and improves resolution of the screen. This navigation system is user-friendly and works good in mobile browsers too. During redesigning in 2012, you can consider this method for its benefits. As opposed to the above example, sometimes website can be difficult to handle due to lots of links. According to user experience, core links on the top of the webpage will provide better results since standard navigation can sometimes get congested. This year is a good chance for web designers to rebuild their website. Even though ideas can be black and white most of the times, be creative. Layouts with multicolumn can help in displaying many links to users around the logo and can be elegant too. User experience, bonus animations, and fancy aesthetics should be focused in web design. I recommend little application of jQuery effects. Advancement in jQuery and CSS3 specifications provide awesome effects requiring few code lines. jQuery has become the master of frontend browser effects, however, support is still low. So, using jQuery along with CSS can make your website compatible to all users with exceptional experience. The design element which designers used mostly in 2011 is writing simplified tutorials for ribbon creation, bookmarks, banners, and display badges due to free information. Many websites have used this style in the last few months including beta testers for classification of current version of mobile apps and software and banners with featured articles or free downloads. Even though type kit was buggy few years ago, google has made it popular now. Google provides you code that should be included after you go through supported fonts library. After this, you can name these fonts during declaration of CSS properties on element of HTML. Simple intuitive interfaces can move the users from point A to point B quickly. Many design trends have stemmed from minimalism to distract the users in the last 5 years. We have covered some perfect minimalist websites in May. But, minimalism is not required to create simplistic overtone. Simplification can be done with a little bit of preplanning.